I’ve made a discovery. People want beauty in their lives, something that catapults them, even momentarily, to a dimension of feeling and awe where tears are a perfect expression of their emotions. Someone might ask them if those are tears of joy or sadness, and neither answer would adequately describe the wet glistening. They would be tears of appreciation. What might bring this on? Maybe it would be a sunset, where the colors in the sky are so unexpected and the gorgeous end of the day is in such stark contrast to the stressful experiences of the daylight hours, that the person cries, thankful that he didn’t miss those fleeting moments of soul-stirring beauty. What made me think of this? Yesterday I placed a photograph of a jaw-dropping sunset in Monterrey, Mexico, on my Facebook page in a post requesting people to visit my author website and become one of my followers. The response amazed me. I had done this before with pictures of my book covers or, God forbid, of me, and I don’t think anyone visited my website! But this beautiful sunset drew people’s attention and made them feel good. I received a nice number of new followers as a result, and this has made me very happy! Followers receive my blogs, articles, videos, news and updates on what I am writing. These go to the e-mail addresses which you have provided me. I try to keep these entertaining! 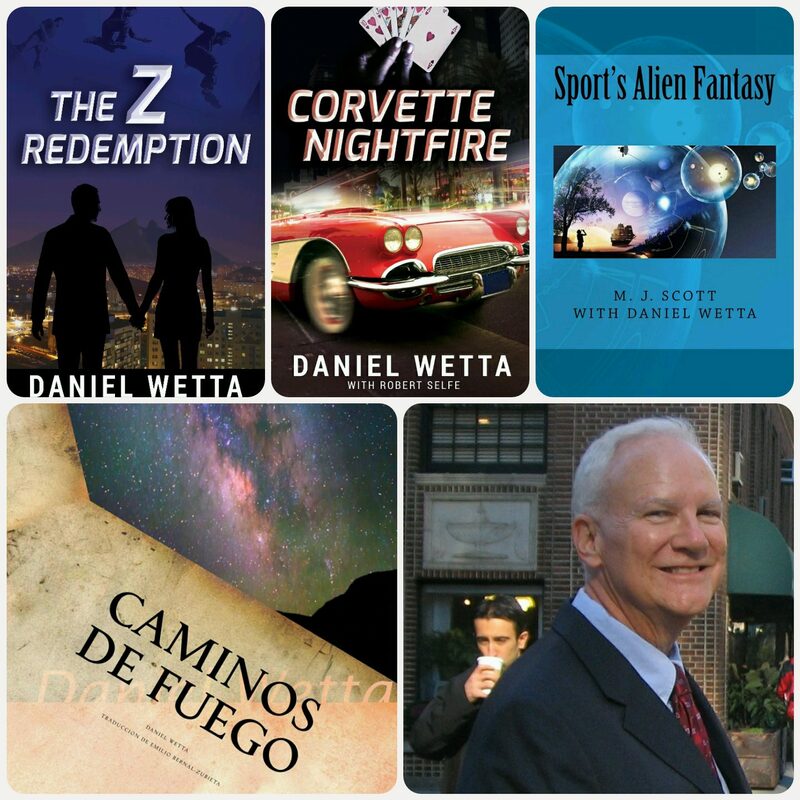 In the past I have included news about my novels, my father’s art, music videos, Corvette mysteries, and anything a little edgy and fun. I have written short story “prequels” to my two novels. They can be downloaded free from Smashwords, and my website describes how to do this, but I thought that I would send “Nightfire!” to you in .pdf format with this blog post. It is my gift to you and makes it convenient for you to read it. “Nightfire!” is a romantic crime story that reveals the mystery of Corvette Nightfire’s grandparents. In the novel, Corvette Nightfire, who the grandparents are and what they did had a huge bearing on the destinies of Corvette and his father, Rogelio. While writing the story, I did research and learned a lot about the famous running indigenous people known as the Tarahumara who are natives of Chihuahua, Mexico. Corvette’s grandparents were Tarahumara, and they got caught up in a life of crime in the drug cartel of Sinaloa. What happened to them occurs in real life in the history of these people. This is a love story and adventure that was a joy to write. I hope you enjoy it enough that you will want to read Corvette Nightfire! To open this PDF file, simply click the link below, and you can read it on your computer. This assumes that your computer or device has the Adobe Viewer, which most have. If not, the viewer is free to download from the Adobe website. How wonderful, thank you! That’s very generous. Thanks for all your encouragement, Andrea, once again! What kind words, Penny, gracias! The feeling is mutual!